Dimmuborgir which in Icelandic means "dark cities or castles" is an area east of lake Mývatn. What makes the area special are its unusually shaped lava fields. 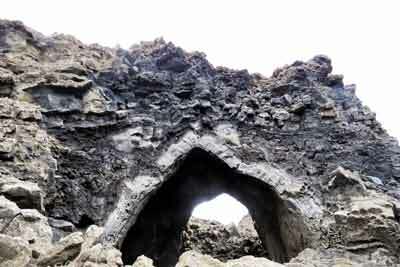 The name is derived from one of the formations which looks like a citadel. It formed about 2300 years ago by a lava flow caused by the Þrengslaborgir and Lúdentsborgir crater which erupted then.